I grew up in Virginia Beach for most of my life, living right on the Chesapeake Bay for many years. To say that I was a beach bum would be an understatement. Now, living near Washington DC with our three boys I’ve transferred that love over to our community pool which we try to hit up multiple times a week (gotta get the energy out of those kids somehow!) While the beach or pool is no place for a full face of makeup, I for one prefer to look a bit more polished than my bare face allows. 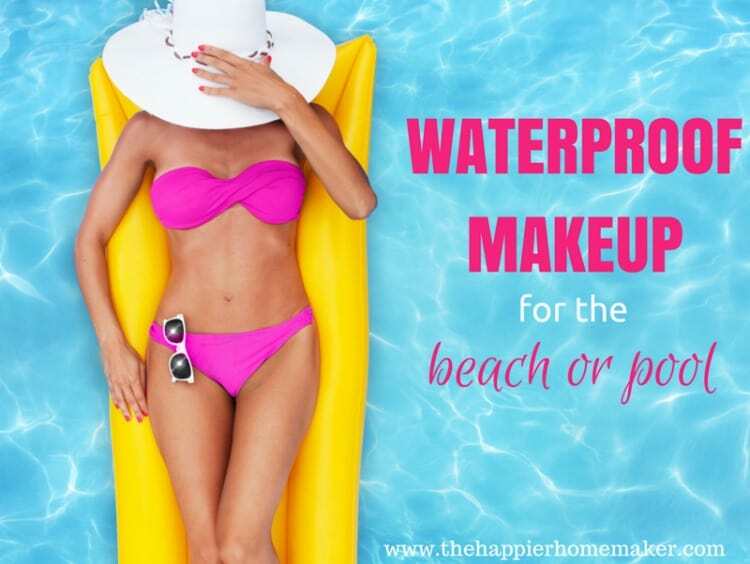 Today I’m sharing tips to get that polished look and my favorite waterproof makeup for the beach or pool! The first step to looking good by the water is to get your skin in shape. I swear by this Strivectin lotion-I started using it a few months ago and the difference in my skin’s texture and fine lines is amazing-my pores are smaller and my skin is noticeably smoother! Once you have a nice base to work with smooth, glowing skin you won’t need much to polish your look. The key is to choose products with staying power so that you look just as good coming out of the water as you did going in! For cheeks and lips I love Benefit Benetint. 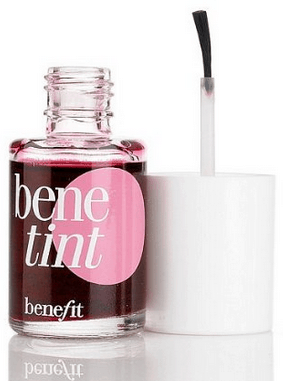 It’s a double duty cheek and lip stain that is subtle enough to stay natural looking but won’t budge once it’s on. My favorite waterproof eyeliner is a bargain find-NYX waterproof liner. I use black because I have dark lashes but if you’re more fair the brown will look more natural. My mom recently gifted me this Lancome waterproof mascara and it’s my go-to waterproof formula now! It gives a very natural lash look and it won’t wear off-I even wore it through my recent mini triathlon and it stayed like a champ!! And that’s all you need! A little color on the cheeks and lips and some eye definition along with your subtle glowing skin and you’re ready to hit the waves! Do you love the beach and/or pool as much as our family does? Do you try to polish it up or do you go all natural? I don’t get to spend much time outside here. I don’t know anyone with a pool and we don’t live near the beach or get to take vacation. But if I did, I would definitely take your advice and use these tips. I have gotten samples of StriVectin in the past and agree with what you say. It is a great product. 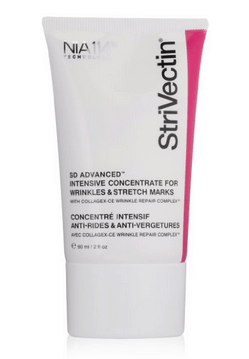 Where/how have u gotten samples of StriVectin?